Are you looking for a card that gives you the biggest bang for your buck? Maybe you're the type of credit card user that is all about maximizing your rewards – you have multiple cards in your wallet, and you know what cards to use at what stores to get the most back. You don't really care about insurance or perks, but you do care about is how much money is going to end up back in your wallet. If that sounds anything like you, these credit cards are sure to please. These 10 cards are premium credit cards, with the best rewards on the market. They will give you a major net return on your spending, and many of them come with some pretty impressive perks to cap it off. Review all top 10 rewards credit cards here. Take the number one card for instance – the . 1 Membership Rewards point for every other $1 spent. 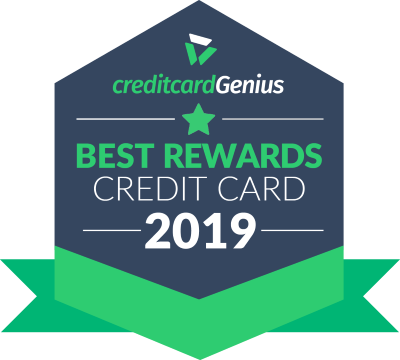 These are some of the best rewards on the market right now, and can be redeemed for essentially any purchase you make on your credit card. The best way to redeem them, however, is through American Express' Fixed Flights Program. With this option, if you redeem your points this way you'll get a value of about 1.75 cents per point. If you're earning 5 points at grocery stores and restaurants, you'll be getting an 8.75% return. These numbers make it pretty easy to see why the Cobalt Card is our top rewards credit card. There's a reason why this card comes out on top in several different categories. Second on our list is one of the best travel credit cards on the market, the . This is a super flexible travel credit card that allows you to redeem for any type of travel you like or transfer your points to a number of different frequent flyer programs. You'll be earning the same Membership Rewards points that you'll earn with the Cobalt card, so there's plenty of value. However, the Gold Rewards card gives you the option to transfer your points 1:1 to Aeroplan or Avios – which the Cobalt card doesn't, adding even more value. Because this is a charge card, you're not faced with any pre-set spending limits, and because it's an American Express, you don't need to worry about high personal income requirements. enrollment in the Hertz Gold Plus Rewards loyalty program. As part of signing up, get 25,000 Aeroplan miles after you make your first purchase, plus an additional 25,000 miles when you spend $1,000 in the first 3 months. And with each point being worth an average of 2.5 cents, this bonus is worth $625 on its own. Plus, every year get a companion ticket on an Air Canada business class booking. Book a trip for 2 in business class, and get a 50% rebate on the airfare for one of the tickets. And while it has an annual fee of $399 for the primary cardholder ($99 for authorized users) and a steep household income requirement of $200,000, this card not only offers great rewards, but great perks as well, especially if you fly frequently with Air Canada. While all the cards in our top 10 have higher annual fees, the is the only one that waives that fee for the first year and comes in at under $100. Obviously, a credit card that rewards you with GM dollars isn't going to be the best fit for everyone, but if you're on the market for a GM vehicle, this card is a must-have. 2% back on everything you spend over $10,000 annually. A 5% return on all your purchases (up to $500 earned annually) is unheard of – so it's easy to see why this GM card shows up on our list. As an added bonus, you'll get 8 different types of credit card insurance, a 20% discount at Avis car rental locations worldwide, and premium Visa Infinite perks. And since you get your first year free, you're able to try the card out for a year and see if your spending makes the annual fee worth it. Tip: To truly find what card will give you the most rewards for your specific spending, be sure to try out our credit card matchmaking tool – Rate Your Wallet. That way we can be sure to match you with a card that will be the best fit for you.